Good Morning everyone! Did you have a terrific weekend? 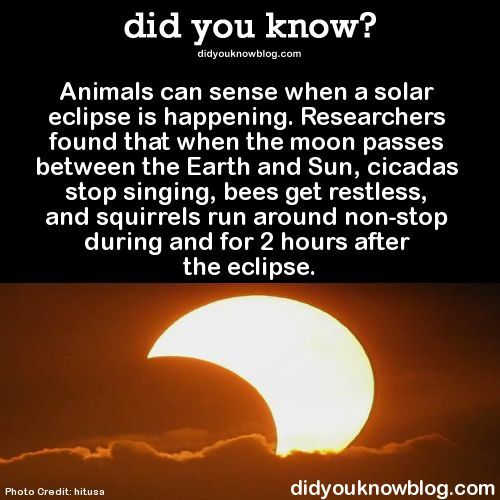 Are you ready for today's Solar Eclipse? I forgot to get the special glasses, but my son has a welding helmet that will protect my eyes! I'm gonna look crazy, but I won't miss it! I'm excited! School started today for my kiddos...Kate is in 7th grade and Adam is a Sophomore...where has the time gone? I can't wait for them to get home so I can hear all about their day! I LOVE being a mom!! It's a hard job...sometimes heartbreaking...but always a BLESSING!! If you are on my mailing list, I sent you an email last night with a SPECIAL Solar Eclipse gift with purchase...be sure to look at it! It's good TODAY, August 21st ONLY! Here's today's "Make-It Monday"....I hope you ENJOY it and perhaps a cup of coffee!! Remember to join me tomorrow for another Tuesday's Tip Video! Set found on page 31 of the 2017-18 Stampin' Up! catalog. 1. Using the Pool Party ink, stamp the wood grain cup image on Whisper White card stock. Leaving space between the images, stamp the cup lid on the same piece of card stock, using Crumb Cake ink. Stamp the frame image using Crumb Cake ink, and the sentiment inside of the stamped frame using Early Espresso ink. 2. Using your Big Shot and the Coffee Cups Framelits, die cut the cup, lid and wrapper. Using the largest circle in the Stitched Shapes Framelits, die cut a circle from the Early Espresso card stock. 3. Glue the wrapper to the cup, and the lid to the cup using SNAIL or Fast Fuse adhesive. 4. Wrap the Soft Sky ribbon around the Coffee Break DSP, about 1” above the bottom of the paper, and glue on the back. Wrap the Burlap ribbon overtop, leaving about 2/3” of the Soft Sky showing on the bottom, adhering them on the back. *Note* Fast Fuse is a good adhesive for this so that you’re sure that they don’t come off. 5. Using your Paper Trimmer, cut about 1/2” off of one side of the Early Espresso circle. Adhere the circle to the card using Stampin’ Dimensionals. 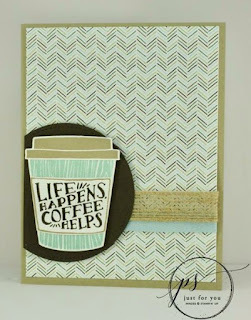 Adhere the stamped coffee cup to the Early Espresso circle using Stampin’ Dimensionals. 6. Stamp the coffee bean image 3 times in the bottom right corner of the other piece of Whisper White card stock. Glue to the inside of the card.